Austria is a multifaceted nation. It’s colorful mix of old-world architecture, and religious, historic and military sites juxtaposed alongside unparalleled natural wonders – alpine valleys, snow-capped mountains, sapphire lakes – and modern, vibrant city life. The capital, Vienna, encapsulates Austria’s many personalities: classical music and choir performances, Gothic cathedrals and powerful military architecture peacefully existing alongside a youthful, modern culture and a burgeoning arts and nightlife scene. But don’t mistake Vienna for the nation’s only worthwhile destination. Make your visit to Austria as diverse as possible by taking in the rolling hills, crystal-clear lakes and mountain meadows in regions like the Danube Valley, the quaint ski resort towns in the eastern Alps, and the modern arts and architecture in cities like Linz and Salzburg. From unforgettable architecture and religious sites to the simple pleasures of the great outdoors, Travel + Leisure’s Austria travel guide will point you to the nation’s can’t-miss sights. Skiing at Apline Resort Towns – Ski at alpine resort towns like Innsbruck, Alpbach, Saalbach, and St. Anton. Visit Palace of Schönbrunn in Vienna – Rococo romantics and Habsburg acolytes should step back in time and spend a half day experiencing the Habsburgs’ former summer home. Ride the Ringstrasse in Vienna – Hop on streetcar No. 1 or No. 2 and travel full circle along Vienna’s bet-known avenue. No. 1 will take you from Staatsoper to Schwedenplatz, No. 2 from Schwedenplatz to Staatsopera. Those monumental buildings along the tree-lined boulevard reflect the imperial splendor of yesteryear. 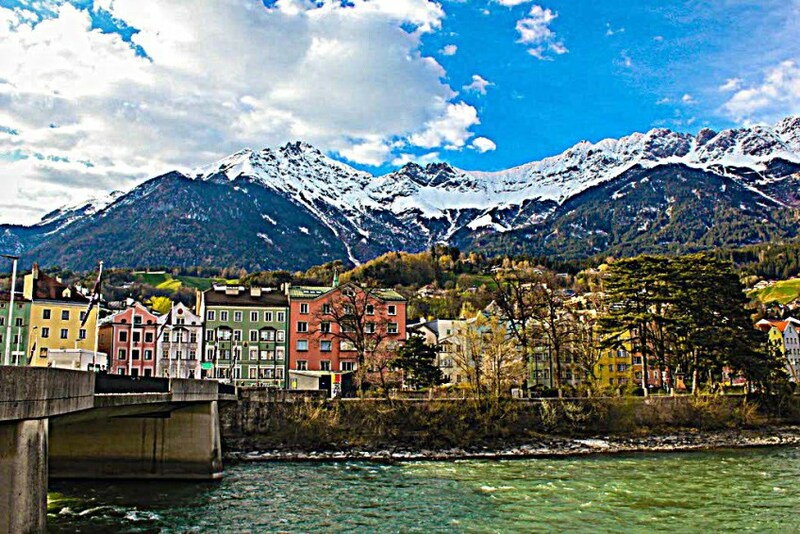 The Sound of Music Tour in Salzburg – This tour is a wonderful ride with breathtaking views of the landscape where the opening scenes of the movie The Sound of Music were filmed. You can relax and listen to the Sound of Music soundtrack. You will not just see lots of highlights of the movie “The Sound of Music”, but also get to know historical and architectural landmarks in the city as well in the Lake District area. Mozart Dinner Concert at the Stiftskeller St. Peter – Experience an extraordinary evening by candlelight, listen to the music of Wolfgang Amadeus Mozart. Hangar-7 at Salzburg Airport – Enjoy a unique architectural work of art. Originally planned to accommodate the Flying Bull’s steadily growing collection of historic aircraft, Hangar-7 has become synonymous with avant-garde architecture, modern art and exquisite dining. Explore the many-faceted Hangar-7 – a venue for art, epicurean delicacies and technology. Hafelekar – One of the best viewing spots in Innsbruck is at the top of the Hafelekar, 7,402 feet. The Hafekekarrinne ski run is one of the steepest in Europe. With a grade of 70%, this run is reserved for real experts. Regardless if your skiing skills are up to par or not, Hafekekarrinne is an unbelievable sight. Money Matters – Austria is a member of the Economic and Currency Union – the common currency is the Euro. Also: find out about ATM, use of credit cards and traveling with large amounts of money. Passport & Visa Regulations – US and Canadian passportholders do not require a visa in order to enter Austria. However if you have any questions please contact the Austrian Consulate General. What’s Free in Austria – Thought a vacation in Austria will cost you a fortune? Not necessarily – Austria’s cities offer uncountable festivals, museums, galleries, sights and activities that are absolutely free of charge. I love your posts about Innsbruck. It’s now on the top of my list. Hoping to visit in the next few months.